How would you like to transform your smile into a beautiful work of art? Our cosmetic dental treatments are appropriate for a variety of aesthetic concerns. You may want to take years off of your smile with a whitening treatment, or entirely make over your appearance with porcelain veneers. Or, fix those one or two teeth that just don’t fit in with the rest by having tooth and gum recontouring. Every cosmetic treatment that we perform is planned side-by-side with you as a patient. We will discuss the options to improve your smile and the benefits of each. Many of our patients choose one or a combination of the following therapies listed below to fit their expectations and budget. Dental veneers are placed over your natural tooth surfaces, giving the appearance of an entirely new smile. We can alter the size, shape, and colouration of your teeth in this one simple treatment. Patients can also improve the look of teeth that are crooked or have gaps between them. You can select from traditional porcelain veneers for a dramatic change, or minimal prep veneers for a more straightforward treatment. The function of your smile is the foundation of your oral health. When you need to have teeth repaired or restored, you also want it to look good. That’s why we implement a cosmetic approach to restorative care called full-mouth restoration. We’ll guide you tooth by tooth to create a beautiful smile that is also disease-free. You’ll only need to visit one office for all your dental treatments and therapies: we offer same-day CEREC crowns, in-office root canals, and oral sedation before surgeries, all in-house. Perhaps your smile is healthy, but your teeth and gums seem to have irregular contours or margins. The simple process of gum and tooth recontouring is minimally invasive, yet produces extremely dramatic results. By slightly adjusting the shape of the teeth or positioning of the gumlines, you can experience a fuller, straighter-looking smile in just one appointment. 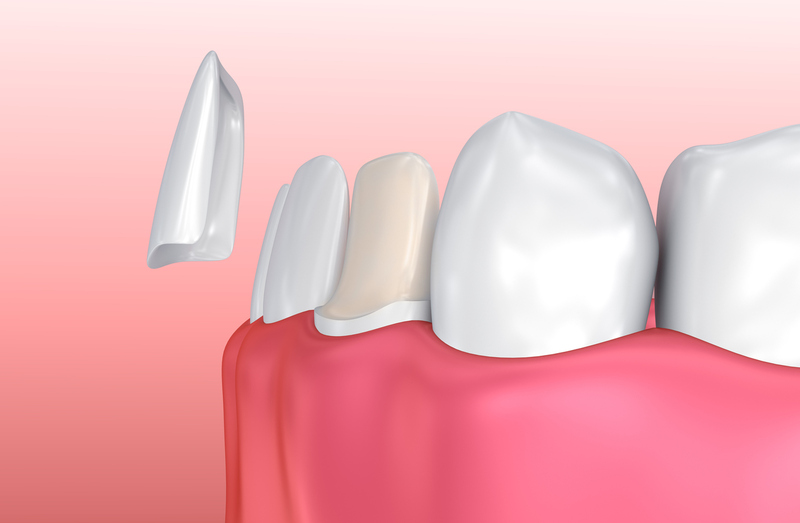 Tooth-coloured composite bonding is a perfect choice for correcting that chipped or misshapen tooth. The material is easily shaped over the enamel, creating the appearance of a full tooth. Bonding is also used to close small gaps between the teeth. Don’t worry, the composite is matched so closely that you won’t even be able to tell there’s a restoration attached to your tooth. 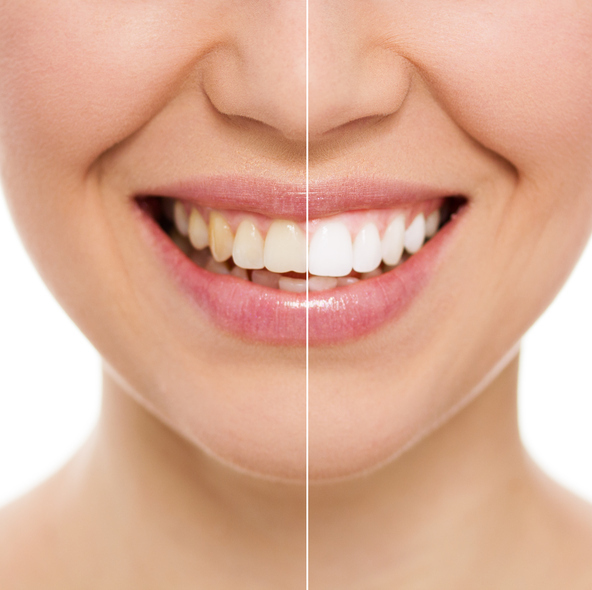 One of the simplest ways to transform your smile is by whitening your teeth. Whitening takes years of stain away, making your smile look brighter and younger all at once. We offer same-day in-office whitening, as well as custom whitening trays that you can use at home. We’ll discuss which option is best for you and the results you can expect during your consultation.